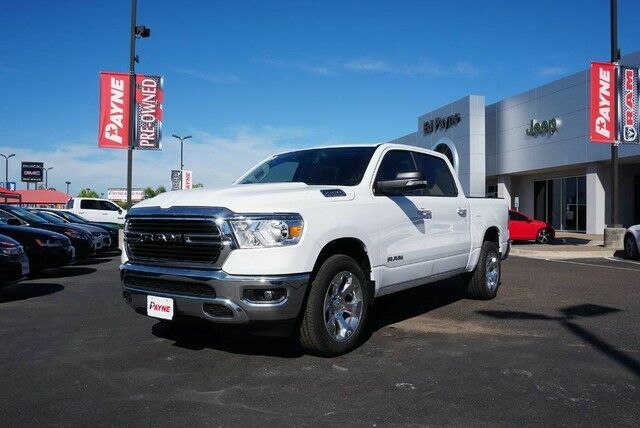 Ed Payne Motors is excited to offer this 2019 Ram 1500. Just what you've been looking for. With quality in mind, this vehicle is the perfect addition to take home. The 2019 Ram exterior is finished in a breathtaking Bright White Clearcoat, while being complemented by such a gorgeous Diesel Gray/Black interior. This color combination is stunning and absolutely beautiful!